Click a link on the left or below to navigate the Ninth Judicial Circuit Court Information. If you are a party to any case in which custody of your child is an issue, then you are required to attend a Parenting Education Program. You must attend a Parenting Education Program even if you and your child’s other parent are in full agreement as to all issues concerning your child’s custody. A notice and information form provides a list of locally available parenting classes and additional information on this requirement. Removing your child’s residence from the State of Illinois. Mediation is an informal way for family members to resolve disputes outside of the formal legal system. With the help of a neutral mediator, the parties attempt to resolve their differences by negotiating their own mutually acceptable voluntary settlement. The mediatior does not make the decisions. Decisions are reached by the participants. A minimum of three hours of mediation is required. An Informational Notice Form is available concerning Required Mediation in the Ninth Judicial Circuit. OTHER WEBSITES: Lake County, Illinois has Mediation Information and Frequently Asked Questions pages. Illinois Lawyer Finder Site is sponsered by the Illinois Bar Association and is composed of attorneys who register for this program. They are not "free" lawyers, but will provide a "free" one-half hour consultation. Prairie State Legal Services serves the Ninth Judicial Circuit. It may provide "free" services or reduced rates for persons who qualify. Illinois Legal Aid may be able to provide "free" services or reduced rates for persons who qualify. "The Law" is a combination of the Statues, Supreme and Appellate Courts Cases, and the Court Rules. The Illinois Supreme Court Rules contol Court procedures in all Ilinois Courts. The Illinois Law and Statutes are enacted by the State Legislature in Springfield. Illinois Supreme Court And Appellate Court Decisions and Cases are found at this site. Illinois Legal Resourses of the Library of Congress may offer additional resourses. In addition to helping you search for a legal aid attorney, Illinois Legal Aid may also be able to answer your legal questions. Below are some links to general information and forms for your use. Below are some links for JOINT SIMPLIFIED DIVORCE information. Below are some links for SMALL CLAIMS COURT information. Knox County Safe Harbor Family Crisis Center serves Knox County Illinois. Fulton/Mason County Crisis Service serves Fulton and Mason Counties. WIRC-CAA Victim Services serves 9th Judicial Circuit. Below are some links to information about domestic battery. Below are some links to information about Consumer Fraud. Illinois Attorney General Consumer Fraud New Car "Lemon Law"
Illinois Attorney General Consumer Fraud "Auto Repair"
The Illinois Department of Child Support Enforcement offers Information and Free Child Support Enforcement . Laws Protecting Military Personnel - "Called to Duty"
Helpful information for National Guard members, military reservists, and their families from the Illinois State Bar Association. . Helpful information for Parents regarding Juvenile Court Abuse & Neglect Proceedings. The Illinois Supreme Court has an online Juror Information Handbook for those interested in the duties of a county trial juror. The Illinois Supreme Court has an online Grand Jury Information Handbook for those interested in the workings of a Grand Jury. This link will connect you to the addresses, phone numbers, and Courthouse officials at each county Courthouse. Link to the Court Holidays when the Courts are closed in the Ninth Judicial Circuit. The Mary Davis Home is a juvenile detention facility located in Galesburg Illinos. This web site was created by the Ninth Judicial Circuit Court solely as a public service. The Ninth Judicial Circuit Court does not warrant the accuracy of the information contained herein nor is it responsible for any errors or omissions and assumes no liability for its use, availability or compatibility with web site users’ software or computers. The information contained on this website is by necessity general in nature and is not intended as legal advice, but rather information which may be helpful in understanding how courts in Illinois operate. 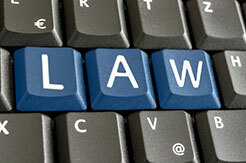 For legal advice, you should contact a lawyer. To find a lawyer, you may look in the classified section of telephone directories or call the lawyer referral service of your local county bar association. The Ninth Judicial Circuit Court specifically disclaims any and all liability from damages which may result from accessing this website or any website which is linked to this website, or from reliance upon any information contained therein. Links to third-party websites are provided as a courtesy. The materials on third-party sites are provided “as is” and without warranties of any kind either express or implied. The Ninth Judicial Circuit exercises no control over the views, accuracy, copyright or trademark compliance or the legality of the material contained on third party sites and does not sponsor, endorse or approve the information, content, products, materials, opinions or services contained on such external sites. The visitor proceeds to these external sites at their own risk. The Ninth Judicial Circuit Court specifically disclaims any and all liability from damages which may result from the accessing of a third party site which is linked to the Ninth Judicial Circuit Court website, or from reliance upon any such information.